For those who want to add a touch of luxury to their dining room's décor, the Richmond Dining Chair from Zuo Modern offers a superb option. 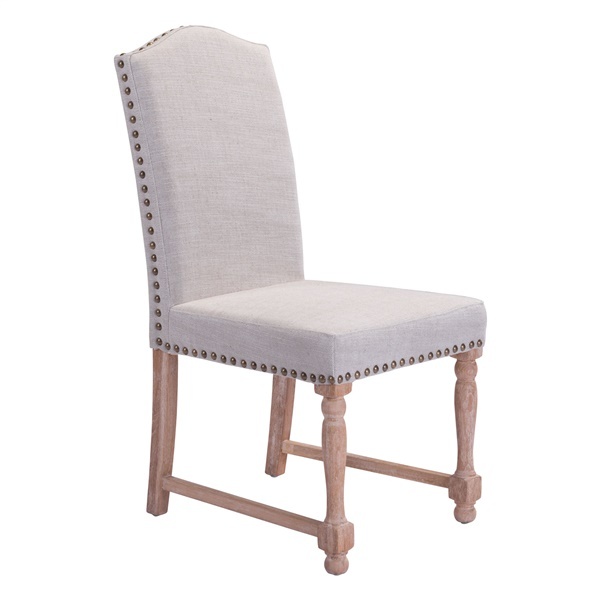 This elegant dining chair features polyester linen fabric is both stylish and functional, along with solid oak wood construction for outstanding support. The chair also boasts a weathered finish that gives the piece a timeless appearance. When it comes to bolstering your dining room's décor, the Richmond Dining Chair is sure to meet your design needs perfectly. Antique design adds a touch of glamour in any modern or retro dining room. Solid oak wood frame delivers amazing support. Polyester linen fabric is both stylish and functional. Weathered finish gives the chair an elegant look and feel.